By booking directly with the owners you can save as much as 50% off the full price advertised by Haven Holidays. 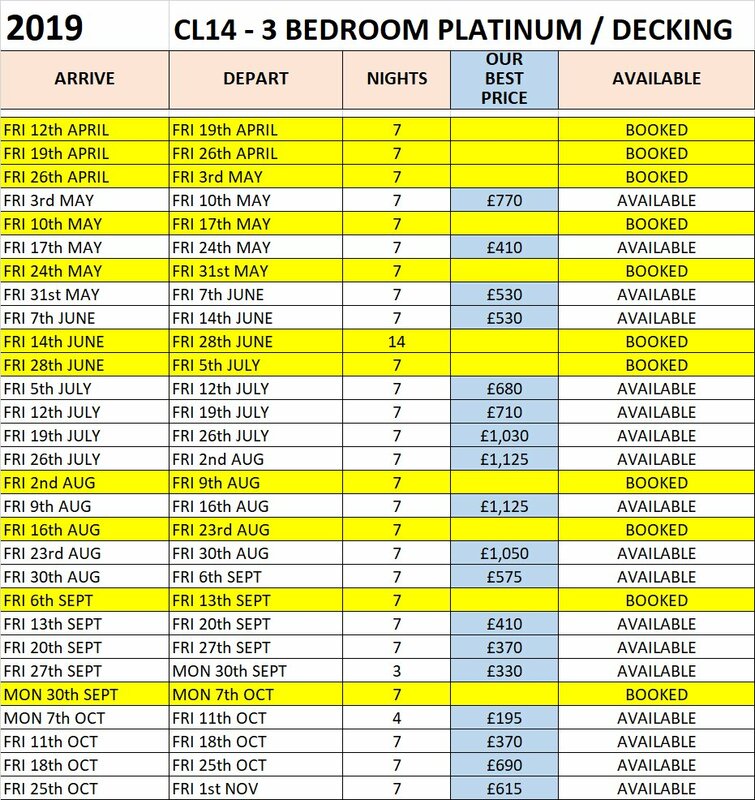 We guarantee to be at least 20% cheaper than Haven special offer discounted prices for the same luxury Platinum rated holiday home for the same dates! If you can buy cheaper on the Haven website within 7 days of booking with us not only will we match the price we will beat it by 20%! Prices shown are for 7 night holidays. available in this holiday home - please ask for prices.